Pirate - the lad Trotman looks interesting and worth keeping an eye on or even offering a trial to? We could do with someone to provide width with an engine to get up and down if we persist with the narrow diamond. Btw - how is the young striker at Mangotsfield progressing? Any league clubs sniffing around? Trotman was very good for England C and would definitely be worth scouting or offering a trial on the evidence of that performance. I'm not sure if any league clubs are watching Louis Britton at Mangotsfield, but I think he has 18 goals from 22 games in all competitions for a struggling side and is well worth someone at the club keeping an eye on him. It might be worth offering him a trial in the development side or U18s to watch him up close in training (and maybe a game or two) to see how he compares to our lads of the same age. Been on trial at City. Played for their 18s. Back in Mangos squad for tomorrow. What a season it has been for young Slimbridge goalkeeper Lewis Adams. He made his Southern League debut for the club at the age of 17 (made 24 appearances in all comps now), helped Slimbridge (saving a couple of penalties in the process) achieve one of their best ever results by beating Cheltenham Town in the Gloucestershite Senior Cup (they now face Bristol City in the Semi Final), was called up to an FA XI and has helped his Hartpury College side to the ESFA Boys U18 Elite Schools’ & Colleges’ Cup Final. I will be watching the final tomorrow and it will be interesting to see how he performs. Hopefully someone from Rovers is monitoring his progress too. The Slimbridge/Hartpury Gk Lewis Adams did what he had to do well today, but hard to judge him on that performance because it was such a dominant display from Hartpury (won 5-0) and he had little to do overall. He kicked well when under pressure and made one decent save (see below). The promising Cirencester Town winger Owen Windsor (mentioned earlier in the thread) also did ok for Hartpury and scored with his weaker right foot (see below). He also scored a screamer for the England Schoolboys U18 side on Friday and then came off the bench on Saturday to win a penalty for Cirencester Town. Kwame Poku is another good 17-year-old to watch out for at Worthing after they recently signed him from Cray Wanderers, who he helped to the FA Youth Cup 2nd round, their best ever finish. Another decent goal from the young central midfielder yesterday. Wow, great goal. Looks powerful and direct, albeit quite left-footed from this (admittedly small sample size) clips. He's worth the club keeping an eye on. Anyone playing first-team football at 17-years-old in the Ryman Prem has to be worth a closer look, if only for the development squad/U18's. I see 17-year-old Owen Windsor made his first start for Cirencester Town in the Southern League at the weekend and scored a goal in an important game against Evesham United. I've seen him three times this season (twice for the England Schoolboys side and once for Hartpury College) and he has impressed each time. A name to keep an eye on and definitely one the club should be monitoring for the development squad. I see 17-year-old Owen Windsor made his first start for Cirencester Town in the Southern League at the weekend and scored a goal in an important game game against Evesham United. I've seen him three times this season (twice for the England Schoolboys side and once for Hartpury College) and he has impressed each time. A name to keep an eye on and definitely one the club should be monitoring for the development squad. I was watching the ESFA U18 Schools’ Cup Final on Tuesday (Repton School vs. Hampton School) and a couple of players stood out to me - Matty Bowman (Repton) and Shaun-Chris Joash (Hampton). Both are a couple of gems worth trialling with the development squad. Matty Bowman is an 18-year-old Right Back/Wing Back currently playing his club football for Scarborough Athletic. He's previously been on the books of Middlesbrough and Hull City and trained with Blackburn, Wigan Athletic, Leicester City and Dunfermline Athletic this season. He recently turned out for the England National Independent Schools Under-18s against Wales Colleges at St.George's Park, scoring one of the goals in a 3-3 draw. Then he made a significant contribution from right wing-back in a 1-1 draw against England Colleges. Shaun-Chris Joash is a tricky 18-year-old winger or striker who was on the books of Brentford before they scrapped their academy, although I'm not sure who he is playing his club football with now. "And up front, Hampton possess one of the most talented players you’ll see in the school game this season – Shaun-Chris Joash. On his day, Joash is close to impossible to stop." Talking of Scarborough Athletic, I reckon their 24-year-old goalkeeper Tommy Taylor would also be worth a trial in the summer. He won the Evo-Stik Young Player of the Year award back in 2014/15 and won a series of awards at the Club's Player of the Year Awards for 2017/18 during their promotion winning season. Edit: Apparently Taylor is 26 (not 24 like the Scarborough Athletic website says) and had a trial last month with Rotherham United. EDIT: My summary of tonight's game? 90 minutes I will never get back. A very poor game and nobody really stood out, apart from maybe the Northern Ireland number 9 Callum Ferris, who I believe still plays for Portadown, despite being set to join Middlesbrough a couple of years back. Britton scored a hat-trick for the City`U18s on Tuesday against Watford, having netted 2 against Sheffield United last week and has now signed a one-year professional deal. Post are saying that other Championship clubs as well as Barnsley were sniffing around, I can't believe we weren't aware of someone like that on our doorstep, maybe we had asked the question and been turned down? 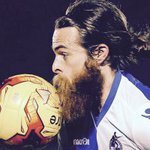 A while ago he was retweeting Rovers fans asking the club to give him a trial, so I doubt he would have turned us down then, but maybe we didn't move fast enough and with Championship clubs sniffing around, you couldn't blame him for choosing any of them ahead of us (if we did indeed make a late move to approach him). City seem to be better in this area of non-league recruitment than us now, where as it used to be us sniffing out these sort of gems. Antoine Semenyo and Saikou Janneh are making excellent progress. They had Kacper Lopata on trial before Brighton stepped in to sign him. Lopata played a few games for Clevedon Town in the Western League this season and was previously at Shaftesbury Crusade. Since joining Brighton he has marked Manchester United striker Mason Greenwood (one of the best youngsters in the country) out of the game to help beat them in the FA Youth Cup and then recently made his debut for the Poland U21s. A month or two ago they also had the promising Clevedon Town pair of Sam Larkins and Ryan Jones on trial for 6 weeks. Rovers did sign Zane Walker at the exit trials after his release from Fulham I think. He's had a good first year as a scholar and is highly thought off by Rovers (from the horses mouth). Its not just this season he has scored goals. Last season he got 17 goals from 28 starts for Brislington in the Western League. I tried to tip off W-s-M about him in pre-season, but they obviously didn't make a move for him either. No doubt they will be begging City to take him on loan next season though. I reckon Jordan Annear would be worth a look on trial with the development lads this pre season. He's only 21 and plays for Falmouth Town in the South West Peninsula League. Obviously it's a massive step up, but he scored over 50 goals for them in all competitions last season and looks like he knows how to finish. Represented Cornwall U18s in the past. The step up is probably too big to this level for him, but he joined Plymouth Parkway in the Western League this season and has scored 19 goals in 18 starts. Another striker from the South West Peninsula League that could be worth scouting or a trial in the development squad is young Liskeard Athletic player James Lorenz. I think he's about 19-years-old (or 20?) and the former Cornwall U18 player scored 42 times last season and currently has 45 goals so far this season. I think Dag & Red could possibly regret letting Jordy Mongoy leave the club. Definitely a lad Rovers should be keeping an eye on. The 6ft 2in 20-year-old can play as as a centre forward or in a wider role and has got something like 16 or 17 goals and 8 or 9 assist for Hastings United so far this season.